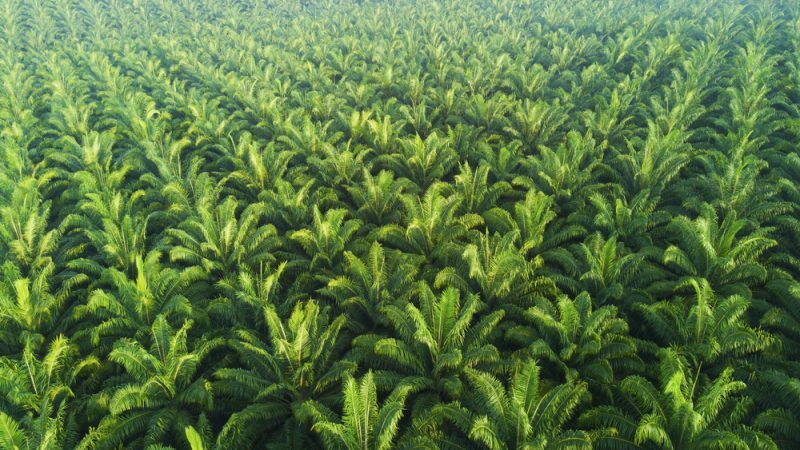 A vote by the French National Assembly to exclude palm oil from their list of eligible biofuels will have implications for the EU’s new renewable energy law, writes Pierre Bois d’Enghien. Pierre Bois d’Enghien, is an agronomist and environmental expert, who has worked with many of Europe’s leading players in plantations and agricultural development. He also serves as lead auditor for the Roundtable on Sustainable Palm Oil. On 19 December 2018, the French National Assembly decided to exclude palm oil from the list of eligible biofuels. The vote took place as part of the Finance Bill for 2019: and was passed despite being opposed by the French Government. Sub-amendment N° 1431 from MP Bruno Millienne (and co-signatories) was voted by a narrow majority of 52 votes against 46 in a largely empty hemicycle, on at 4 o’clock in the morning, just before a suspension of the sitting (which was probably expected by parliamentarians). The arguments developed during the debates highlighted old anti-palm oil clichés and even the speech at COP24 by Greta Thunberg. It appears that this amendment, the vote for which was applauded by anti-palm oil activist NGOs, had the disguised objective of protecting French farmers producing biofuels (notably the rapeseed industry), although this protectionist aim does not appear in the official justifications for the sub-amendment. “In my opinion, palm oil will never be sustainable” and “I hope that the French producers will take this signal as they should take it: it is actually an aid to farmers, but they have to do the job to make sure that they do not damage our soils”. The MP appears to believe that all efforts made by the palm oil sector since 2004 to develop and implement ambitious sustainability (RSPO Principles & Criteria) are not acceptable. He also expresses only a weak “hope” that the future representatives of the palm oil sector are committed to sustainability. What a difference in treatment, what hypocrisy, when compared with the French rapeseed sector that has no sustainability standard, uses GMOs and creates biodiversity deserts! In a recent article published by Reuters, the Malaysian Prime Minister Dr. Mahathir Mohamad indicated that any attempt to try to exclude palm oil biofuels in France would lead to “negative consequences for the future of Malaysia’s trading relationship with France”. Many jobs and exports (Airbus, Rafale) are on hold. Moreover, it is highly possible that this issue may be the object of a complaint at WTO level, if it is confirmed that the French exclusion is not in line with EU rules and International laws. Article 26 (2) of the Directive, provides that the Commission shall adopt, by 1 February 2019, a delegated act to set out the criteria for certification of: “low risk” indirect land-use change biofuels, and for determining the “high risk” indirect land-use change feedstocks. Should palm oil be classified as “low risk”? Without hesitation, I say “yes”. The production of palm oil for energy purpose does not necessarily and systematically lead to deforestation in other areas. Many African, South American and Asian countries are committed to eliminating deforestation linked to the cultivation of oil palm, and private operators are also taking similar bold initiatives. All these elements point to a development model for oil palm cultivation that is much more favorable than what activist NGOs have claimed. Thus, any development of the oil palm for energy purpose can effectively lead to an extremely favourable change in land use by encouraging cultivation on anthropogenic savannah or the rehabilitation of old abandoned oil palm plantations (more than 300,000 ha in Democratic Republic of the Congo alone). This would develop unproductive areas, reduce net carbon dioxide emissions, enhance biodiversity, etc. while improving the food security of Africans, who are increasingly dependent on imports of palm oil from South East Asia for their needs of lipids and vitamin A. Indeed, oil palm cultivation is amongst all oilseeds, the one that is the most efficient from an environmental and social point of view, it has the least impact on land use (oil palm requires 10 times less surface area than soybean), it sequesters the most carbon (1.6 ton / ha / year), is home to the most animal and plant biodiversity, and is the most significant crop in terms of accelerating social and economic development of many African and Southeast Asian countries. Not to mention, for those who are sensitive, that oil palm breeders do not use GMOs (unlike other oilseeds). The oil palm should not be evaluated only in crude terms of risk based on some unfortunate and past events of its development, but by the tremendous opportunities it offers. Banning palm oil is not the answer, even Greenpeace admits it. Moreover, such a ban would have wider negative consequences. The other sectors (rapeseed, soybean), and the NGO activists who protect them, need to take a long look in the mirror at the damage they are doing with their anti-palm oil campaigns. Europe must understand who is the real enemy.